It seems that the only way to get into the dating pool is via online dating, which I have resisted. I’d love some support around online dating fears and knowing what the protocols are. It’s understandable to be apprehensive about online dating. First of all, most of us did not grow up in an online dating world, so our subconscious minds are programmed to believe whatever stories we heard growing up about how people are supposed to meet their match. We may even have long lost fantasies and pictures in our minds about what it’s supposed to look and feel like when we meet our “One”. And if online dating is not part of that picture, our subconscious mind will not be on board with it, and that’s when we feel the resistance to taking action. Also, filling out an online dating profile can feel more like a job application than a doorway to romance. Most of us are uncomfortable trying to “sell ourselves” to people peeking at our profile – sounds completely inorganic and we feel very vulnerable doing so. There’s also a very real risk to our safety with online dating. People don’t necessarily state the truth about themselves – there’s a fair amount of misrepresentation. There’s more comfort in knowing that someone you’re about to meet on a date came through your friends or family, through your community, or through some group that shares your interests. So you do have to take safety precautions and use online dating judiciously. 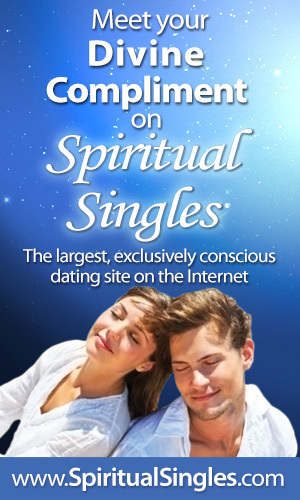 I will never encourage you to go through online dating if you have strong inner wisdom that it’s not for you. Let’s be clear: you can still go about finding your mate the old-fashioned, time-honored way, and it still works! 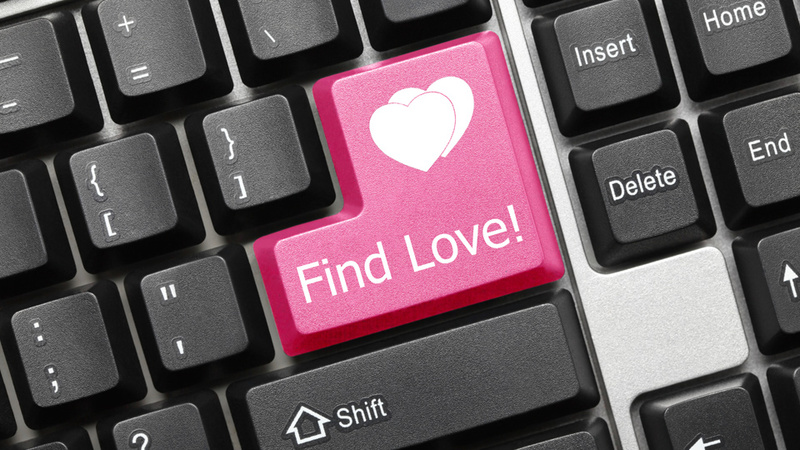 Online dating is just another avenue – and the more avenues we use, the more our chances increase. However, I always do encourage you to look at your resistance and fears about online dating, because this will undoubtedly reveal fears you carry in your Shadow about dating and intimacy in general. Are you afraid because you are shy about boasting your good qualities? Do you believe it is not polite to put yourself forward with confidence? Are you afraid of wasting time on incompatible prospects? Do you not like the idea of meeting your match and having to spend the rest of your married life telling everyone the two of you met online? Are you afraid it makes you a loser if you couldn’t meet your match organically? All of these questions and many more provide excellent material for examining which of your Shadow beliefs are holding you back and limiting your chances for romantic success. As you know, once you allow the contents of your Shadow to come up to your conscious mind, you can become aware of it, feel the feeling holding it in place, embrace it, listen to the message it has for you, and finally release it, putting in place a new message that would serve you better. But you have to feel the feeling fully, otherwise your subconscious mind will not accept the new belief, so don’t skip that very uncomfortable step! Ultimately, it doesn’t matter if you meet your soulmate through online dating or through friends or mutual interests. What allows you to finally meet your mate is your energetic alignment with your desire to meet your mate. THAT is what’s most important. So if you are afraid that you’ll have no chance of meeting someone if you don’t use online dating, ask yourself if that is a belief your Shadow is using to keep you in your comfort zone? The thing is – the modern world would have us believe that what we want is something out there, somewhere outside of us. So we all go about “looking” for a mate. Why do you want a mate? No doubt you believe that if you finally have the soulmate of your dreams, you will feel happier, more secure, more loved. The trick then is – and you have heard countless other gurus say this – feel those feelings FIRST – and then you will attract what you desire. So your job is to feel how you would feel if you had the soulmate of your dreams on a regular basis – feel loved, feel secure, feel happy, however you think it would feel, and truly deeply really LOVE that feeling! That is what gets you into energetic alignment with your desire, which creates the right vibration to attract it into your life. I remember when I was young and single – I’d go through periods where I’m “getting over the last one” for a while. I wouldn’t feel like dating, I’d be getting over the heartache, the disappointment, the need for forgiveness – whatever it was. And then at some point, I’d start feeling like “You know, I’m ready now.” And then without really doing anything at all, I’d meet someone attractive at a party who’d ask me out. And the following week, someone I missed a connection with a while back would call me out of the blue, and then a friend would introduce me to someone – and suddenly there would be a number of possibilities in my life because I decided I was ready. I always knew when I started seeing this increase of activity that my next long-term relationship was about to come along – and it did! In those days, it wasn’t yet my soulmate because I still had to do a lot of growing and learning through relationship. And as you know – all our relationships serve to take us to our next level of intimacy. So I encourage you to look at your Shadow beliefs and feelings, heal and release them, and focus more on uplifting your vibration. And once you feel your vibration “click” into resonance with your heart’s desire for intimacy, then listen to your Inner Guidance about where you should go and what you should do – it will direct you to your next intimate relationship. And if it says “go online and fill out a profile,” that just may be where you will find your mate – or someone who may eventually lead you to your mate. Or your Inner Guidance might say “join that tennis club” or “go to this library” or “ask your friend Madge what singles she might know.” Whatever your intuition tells you, follow up on it. Incidentally, don’t get the voice of your Inner Guidance confused with the voice of your conscious mind – it’s deeper than that. If you’d like help hearing your Inner Guidance, here’s a meditation that could help. And please let me know how this works for you. Please leave your comments below or on my Facebook page here. If you would like to ask a question to be answered in a future blog article, feel free to email me at info @ nijolesparkis . com. Nice and very informative post here. So glad you found it to be of value! Blessings to you!